Cross-training is the practice of engaging in more than one type of workout to maximize performance and improve overall fitness. For example, you can couple your running or cycling with strength training or CrossFit to target those muscle groups not used while running. Even being engaged in two or more sports can be a considered cross training. But, for an effective workout, you’re going to need the best cross training shoes. 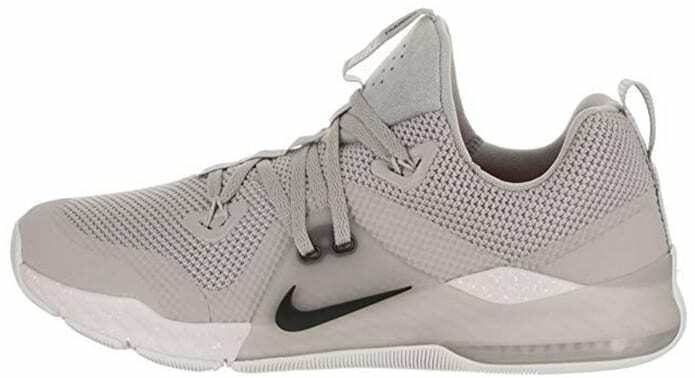 Cross trainer shoes (as the name suggests) are multi-purpose training shoes that can be used in a variety of different physical exercises or sports without buying an individual pair of shoes for each sport. They are versatile shoes that are built for lateral movements and feature some level of cushioning if you plan on doing some light running. Please note that if the majority of your workout involves running, it is important to get separate running shoes that provide better cushioning and comfort to stave off those running related pains and injuries. Whether you’re into swimming, sports, CrossFit, strength training or resistance training, it goes without saying that a good pair of cross trainers are extremely important to support the weight of your body during those strenuous workouts. A good pair of cross training shoes can make the difference between an energizing workout, or a painful chore resulting in sore and achy muscles. 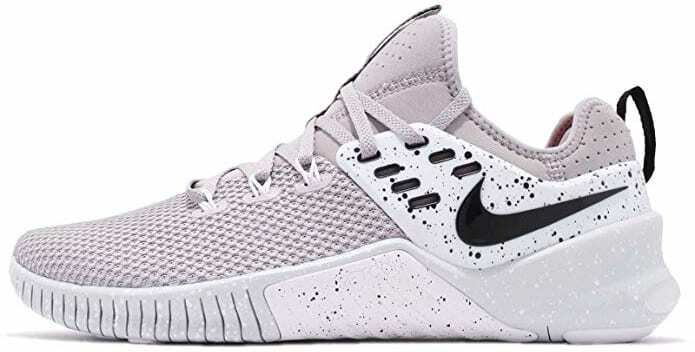 The Nike Free x Metcon is a hybrid between the Nike Free shoes and Nike Metcon line. They feature the best of both worlds by pairing the support and durability of the Metcons with the comfort of the Nike Free. The Free X Metcon is definitely better than our previous favorite – the Nike Metcon 4. During our testing, the Free X Metcons were decidedly on the comfortable side without feeling too squishy. It was perfect for an extended session at the gym without experiencing any sores or aches. The official description says it’s made out of a breathable mesh construction, but we did experience “hot feet” due to the sock-like sleeve that’s designed to keep your feet snug and in place. The tri-star grooves planted on the outsole of the shoe did an adequate job of providing ample grip on the gym floor. While these shoes aren’t meant for professional powerlifting or weightlifting, they performed admirably in all the different challenges we threw at it like squats, jumping jacks, burpees and even some light running. These are an all-around best pair of cross training shoes for men. – Sizes run small and better to order 1/2 size up for good fit. While the Nano 8 might not be winning any design or style awards anytime soon, the newest iteration from Reebok makes up for it in terms of durability and construction. The shoes feature a bootie design that sits independently to the exterior shoe material and slides on to your feet like a glove. The shoes are quite flexible and comfortable without feeling overly snug or constricting. The wider toe box is a welcome addition and I’ve noticed that they give me enough room to spread my toes out a bit to get a better perch while doing squats. The shoes provide good ankle support for lateral movements, along with a flat and stable base for weightlifting. The upper is constructed from a durable Flexweave material and is versatile in both form and function. The Flexweave pattern is very breathable and also resistant to scraping and fraying from rope climbs and climbing walls. The bootie design is not without its flaw though and our only concern is the connective piece that bonds the inner bootie to the heel of the outer shoe. Not very ideal if it were to snap. + Wide toe box adds to the already amazing comfort of these shoes. – Not very visually pleasing. – Stiff on first try, but gets agile with use. – Not recommended for running as it degrades stability for weightlifting. – Wider toe box may not be suitable for people with narrow feet. The Minimus 40 is the latest shoe in the long-running Minimus series for New Balance. 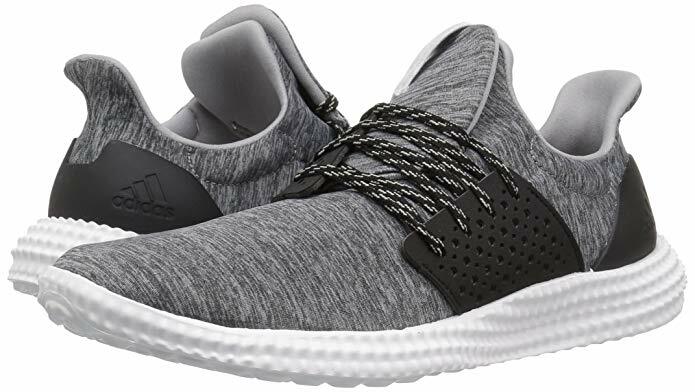 The shoes come equipped with the new Rapid Rebound outsole foam which is very responsive for workouts that contain lots of jumping like plyometrics, burpees, and box jumps. A REVlite heel provides added shock absorption in the heel area while also increasing stability and durability. The TPU heel clip does a great job of minimizing heel slippage. The Minimus 40 is constructed from a woven synthetic upper with TPU reinforcement for breathability. A dense, grippy Vibram rubber outsole provides maximum traction during intense exercises. The Vibram outsole extends to the sides of the shoe for precise lateral movements. While they’re not dedicated running shoes, the Minimus 40 contains a moderate amount of padding for light running. Our only quip was the narrow design and people with wide feet might have some difficulties. Nevertheless, you can’t go wrong with these extremely flexible and versatile shoes that weigh only 290 grams. – Sizes can run half a size big and narrow. – Not ideal for heavy weightlifting. Reebok is a name synonymous with CrossFit. This latest offering from the company is made with HIIT, CrossFit, and cross training as its modus operandi. At 241 grams, it’s a lightweight shoe that is tougher than it looks. It holds itself well by providing the support and stability needed for weightlifting, while not sacrificing on comfort. The shoes did an admirable job of maintaining enough flex to engage in copious amounts of other intense activities and even CrossFit WODs. To make sure your shoes stay intact during strenuous workouts, the outsole comes equipped with upgraded RopePro technology for superior grip and traction. The one major downside to the Speed TR 2.0 is its durability and we found the mesh coming apart from the upper after only a month of use. The shoe is also awkwardly shaped with the toe-box being narrow and the ankle area disproportionately wide causing heel slippage while doing tire flips. Apart from these, the Speed TR 2.0 is perhaps the best cross training shoes for men in the price segment. + Lightweight but stable shoes for lifting weights. + Good flexibility for quick lateral movements. – Not suitable for people with wide feet. As the latest update to the famous Powerlift series, the Adidas PowerLift 3.1 adds to its predecessors by incorporating a weightlifting-specific 15mm wedge on the midsole to allow for better a squatting position. The Powerlift 3.1 sports a non-compressible EVA foam that acts as a stable platform during lifts. The toe-box is quite flexible thanks to the synthetic leather upper to allow for toe-splaying through those last few reps. The toe-box also contain perforations thereby keeping your feet well ventilated. One thing we would like to note is that the shoes come equipped with lace as well as velcro to get a tight and snug fit. Being more geared towards serious lifters, the Powerlift 3.1 feels somewhat inadequate for workouts that involve lots of jumping – like plyometrics, burpees or jump squats. If you’re primarily into weightlifting, you can’t go wrong with the Adidas Powerlift 3.1 given its excellent price-performance ratio, high-quality construction, and stability. + Steadiness and stability are excellent for weightlifting. + Solid construction helps with keeping form during squats. – Not nearly as stylish as the offerings from Nike. – Unsuitable for HIIT or cardio intense workouts. The Adidas Athletics 24/7 bring the hallmark UltraBoost levels of comfort and cushioning in a training shoe without sacrificing on looks. These are probably some of the nicest looking cross trainers we have seen and the stylish textile upper folds into a double tongue, albeit it feeling somewhat bulky when worn with thicker socks. The lacing system is quite versatile and with some quick adjustments, you’d be able to find your ideal fit. In our case, we found that looping the laces through the lower eyelets was the only way to keep these shoes from sliding off especially since the fabric lining can be quite slippery. This textile construction does help significantly with heat dissipation, but also lacks meaningful ankle support and hence not recommended for people with flat-feet without additional insoles. The shoes were perfect for workouts that involved running and jumping, but not so much for weightlifting or powerlifting. + Adjustable lacing system helps in securing a tighter fit. + Can be used for running due to its cushioned lightweight midsole. – Flimsy textile construction lacks ankle support. – Tend to slip off the feet if not laced tightly. Apart from their partnership with Dwayne “The Rock” Johnson, Under Armour also make rock hard (see what we did there?) and comfortable shoes. The dual-layer compression molded midsole is made from EVA foam and packs optimum cushioning for a wide array of workouts. They are good for weight training, though they might feel a bit mushy for heavy weightlifting. The energy return from the midsole is fantastic and it felt “bouncy” when engaged in plyometrics. 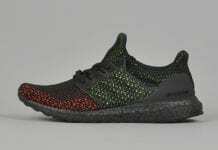 They also provide sufficient shock absorption to be used as part-time running shoes. The upper is constructed from perforated leather and mesh for maximum breathability. A TPU heel clip prevents slippage, although we experienced some discomfort in the heel area due to the tight fit. The Commit does require a break-in period and we recommend going up half a size for best fit. The 4D foam insole provides additional cushioning, but unfortunately, it cannot be removed if you’re looking to replace with an aftermarket insole. The outsole of the UA Commit is a multi-surface specialist whether it be on the road or at the gym. The outsole also consists of flex grooves which are strategically placed to improve agility and flexibility. + Versatile shoes for a range of different workouts. + Well rounded training shoes that can tackle everything you throw at it. True to its name, the NoBull project trainers are a plain and simple shoe without all the advanced alien technology that shoot lasers. The latest iteration from NoBull now sports a midsole that is even less compressible than its predecessor, making it an ideal shoe for heavy weight training. The upper is constructed from a one-piece SuperFabric that have dotted “guard” plates to give it an alligator skin look. It’s an extremely durable material that is stretchy and abrasion resistant. We saw no visible signs of wear while doing rope climbs. Speaking of rope climbs, this shoe’s outsole extends to the sides for medial rope grip. The outsole is relatively flat and consists of a uniform lug pattern for exception grip. Bear in mind that at $130, these shoes are pricey and may not fit everyone’s budget especially since it has so little features. It lacks arch support or cushioning, making it more or less purely for weightlifting. That’s not to say you wouldn’t be able to do CrossFit or other strenuous workouts in them. I personally found that my feet were exhausted after a session of P90X in these shoes, but it may or may not be the same for you. The NoBull Project trainers are the best cross training shoes for those who want a simplistic look. + SuperFabric construction is tuff as nails. + Extended outsole ideal for rope climbs. + Incompressible midsole provides a stable base for weightlifting. – The SuperFabric upper creases when bent or stretched. – Pricey and lacks features. Nike has put HIIT training front and center with the Zoom Train Command. Apart from being an incredibly capable cross trainer, the Zoom Train Command is also built to look like a stylish pair of street sneakers. 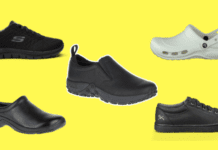 The bootie construction of these shoes makes for a snug and comfortable fit, while the rubber traction pods on the outsole help in quick and nippy movements. The Nike Zoom Train Command is made for people that love to engage in multiple workouts. The ZTC sports a TPU midfoot wrap and the shoes themselves are quite flexible. While these aren’t specialist shoes, they are ideal for cross training, moderate weightlifting, running and CrossFit. The flywire cables are woven into the fabric of the shoe and integrate directly with the laces so your feet stay snug and locked-down. The ZTC is not without its flaws though as the lightweight nature of the shoe feels unstable when training with maximal weights. Moreover, sizes do run small and it can be difficult to get your foot into the inner sock-like sleeve. Hence, we recommend ordering a half size up for a perfect fit. And if you have wide feet, we’d highly recommend looking at an alternative option since the shoe is quite narrow and will cause pinching. + Lightweight shoes, making them decent for running. + Stylish shoes that go well with casual wear. + Rubber traction pod on the outsole make them quick and agile. – Sizes run small. Better to order a 1/2 size up. – The lightweight construction feels unsteady during weight training. With obesity reaching epidemic proportions in the US and the rest of the world, it’s more important now than ever to live an active lifestyle and train hard. If you’re just starting out, remember that everything has to begin somewhere and it’s never too late. A healthy body fosters a healthy mind and hence, working out can greatly improve your mood. Doing one type of workout can become boring very quickly and this is where cross-training can keep you challenged by activating all muscle groups simultaneously. The shoes on the list were extensively tested in the gym through a variety of exercises including burpees, rope climbs, plyometrics, and weights. These are the best cross training shoes for men on the market right now. 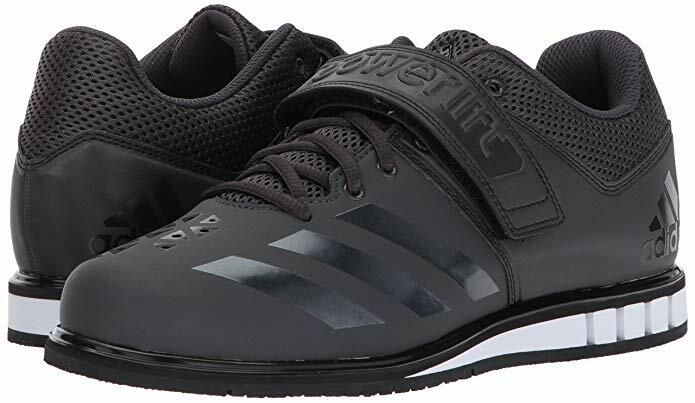 Some shoes on the list like the Adidas PowerLift 3.1 is more geared towards serious weightlifters, while others are general purpose training shoes. It’s important to keep in mind that you should avoid using your running shoes at the gym since they lack stability and support required for hard lateral movements. Running shoes also lack the outsole/midsole durability necessary for cross-training and hence, you will wear them out quickly.